“Every child is a beautiful flower and altogether every flower makes this world a beautiful garden.” Children are truly little packages of sunshine which help to lighten and brighten our world with their innocence, their charm, and their lovely smiles. They make us feel happier and inspire us to become better persons. Thus, where children bring so much joy and laughter into our lives, it is our duty to cherish and nurture that innocence. We can do so by creating a safe environment for them where they feel comforted, this sense of comfort becomes all the more crucial in the early years of the child’s life. To ensure the child’s safety and comfort it is imperative that the child feels secure in his/her own home and more so a special room dedicated specially for the child. This goes a great way in helping the child express himself/herself not only now but also in the upcoming years of life. The bed can be the central attraction of the room or it can be nestled in the small corner of the room. 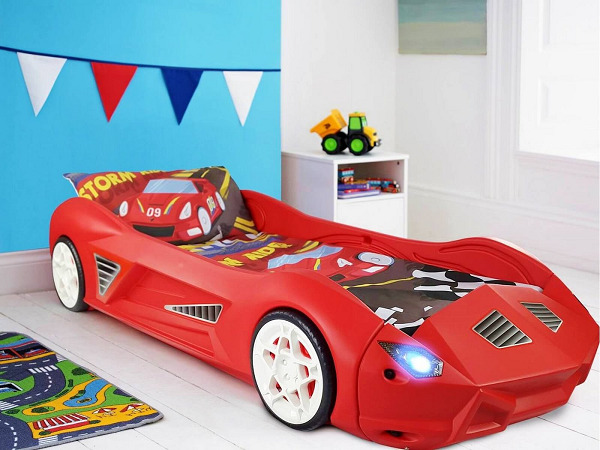 While designing the bed it is necessary to keep in mind the age of the child, the size of the room (which can help to decide the size of the bed), selecting a theme and a color scheme and using some imagination and creativity while designing the type of bed. 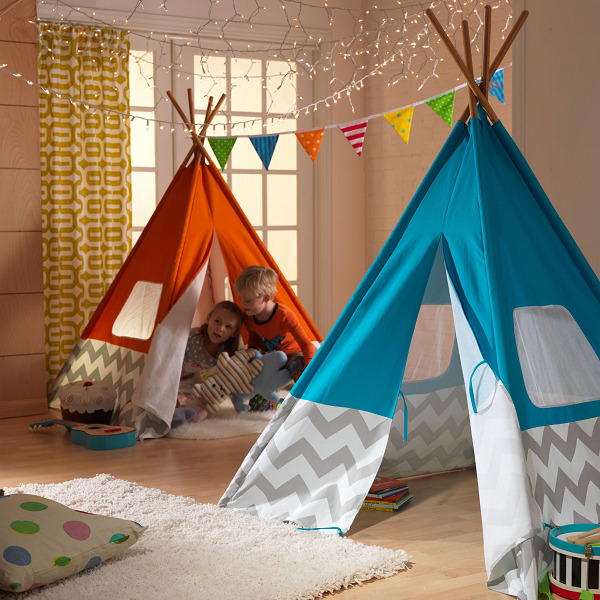 Children are attracted to bright colors, it helps in improving their imagination and creativity. Different colors are associated with different emotions and they can certainly go a long way in brightening up the décor of the entire room. 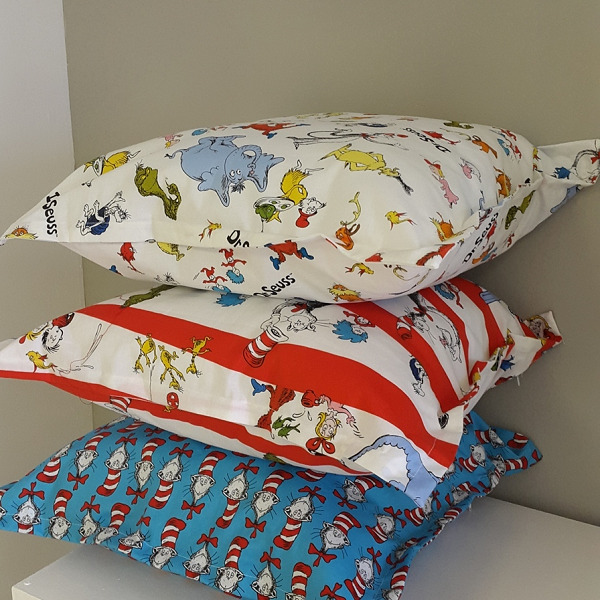 There is a wide range of bedsheets with cute and quirky prints available to choose from, such as- small prints, large images, cartoon prints, funky colors, and symmetrical patterns. Accessorizing the décor of the room with the help of bedsheets can definitely provide a cost-effective and better feel to the entire room and easily set the mood of the room. 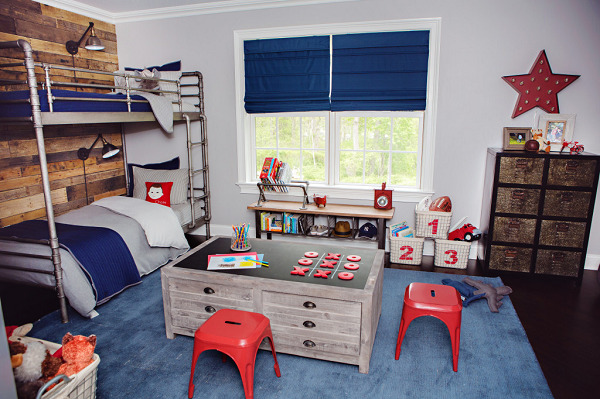 Decorating and celebrating the ceiling of the room can help to add a whole new color and flavor to the cuteness of a kids’ room. 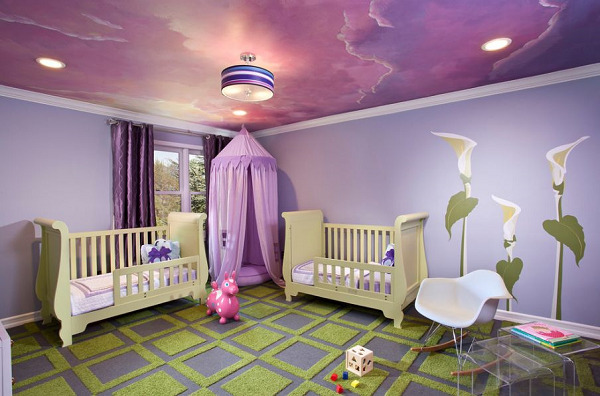 You can use a variety of themes to decorate the ceiling of the room. For instance: A fantasy inspired design which uses colors like pink, purple, blue and gray, making clouds with white. Installing some lights on the ceiling will give it the touch of a sky with clouds, stars shining during the night and the sun beaming during the day. 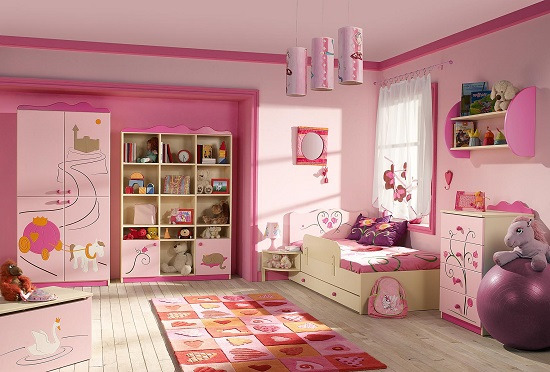 Adding a splash of bright color such as pink, orange, red, blue or green to make the room look more colorful and thus add color to the mood of the child. Proper lighting helps to set the tone and the mood of the room. Since it is a children's room, make sure that the curtains are not very dark which creates a pitch-dark feeling of the room. The curtains can create a light breezy and airy feel to the room. 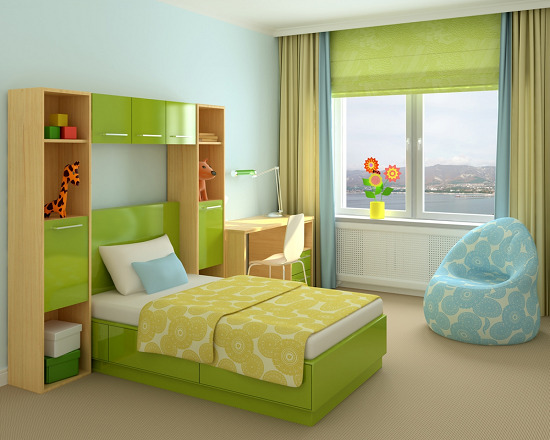 To make the child feel calm you may select curtains which may be in pastel shades, they can be white with a splash of a funky color which complements the décor of the room and yet keeps it bright, cheerful and colorful. You may also experiment with layered rugs at one corner of the room, or a floor mat that goes below the bed to highlight it and highlight or draw focus to a certain area or the aspect of the room. 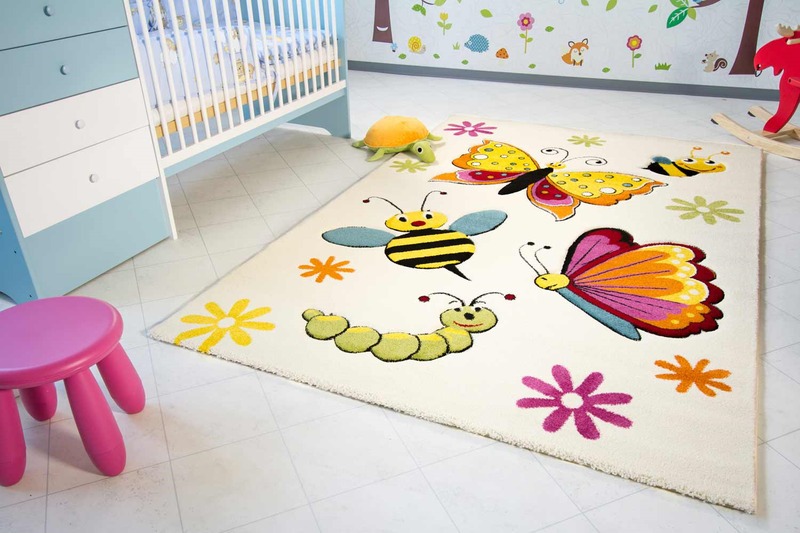 The rugs and mats can be chosen depending upon the theme of the room, it can be anything from a cartoon character, flower prints, bright colors or monochrome design to highlight the aura of the room. 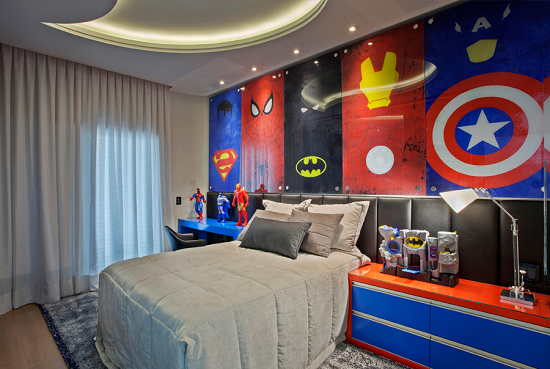 Decorating a child’s room can be a much simpler task by selecting an appropriate theme for the room. This theme of the room acts a guiding torch to accessorize and find other articles such as the bed, bedsheets, ceiling, wall paint, curtains and any other matching accessory of the rooms. 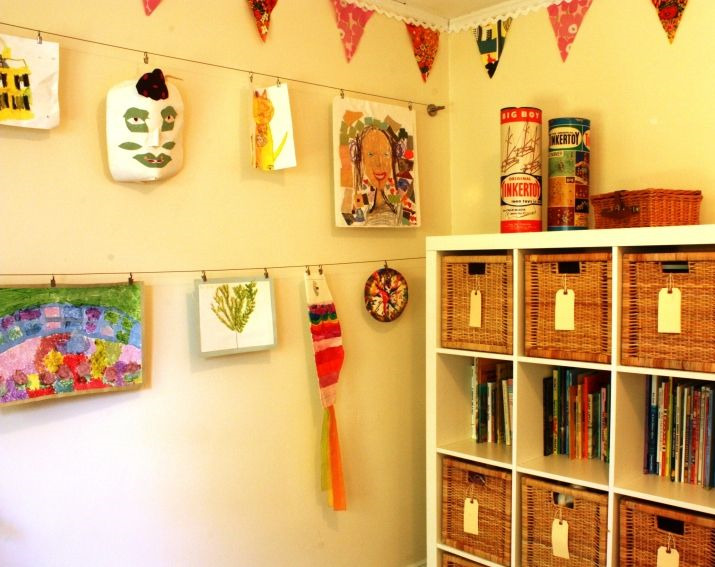 Create a small corner or board in the room where the child can display their own achievements. It can either be a small wall of accolades, or small corner where the child feels free to display all the achievements and adds a personal touch by keeping whatever provides a sense of happiness and brings a smile to the face of the child and the parents. A wall may be created which may map the growth of the child from the very beginning. 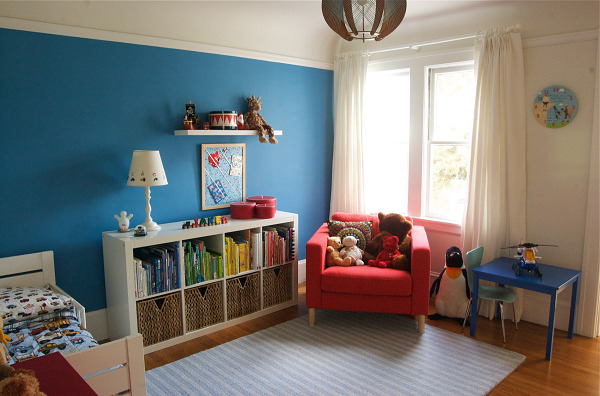 Wall stickers are cheap and an easy way to update a kids’ room. There are hundreds of designs available, from Disney characters to airplanes and farmyard animals, all of which can be easily applied to the wall without any fuss. 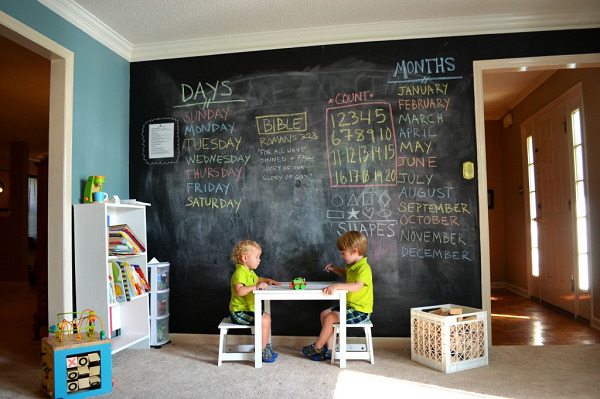 A portion of the wall may be dedicated towards a chalkboard or a message board. From the stone ages man used to use the wall as a canvass and draw and paint on the same. Children are like a ball of sunshine filled with energy so it can be a good alternative for them to express themselves freely by making mounting a chalkboard or a whiteboard where the child feels free to express himself/ herself. 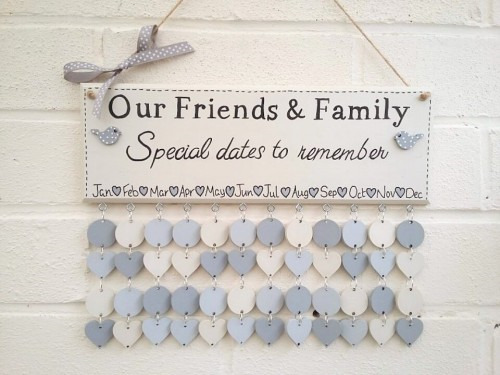 This board also acts as a medium to teach values to the children by putting up quotations or leaving tiny notes of love making the child feel warm and fuzzy. The room can be given an endearing look by experimenting with lamp shades. The lamp shades can have attractive designs, wondrous patterns and beautiful tones which adds light and color to the room. The lamp shades may again differ depending upon the look and the feel of the room. Light and sound go hand in hand. Apart from providing appropriate lighting to the room, it would be foolish to ignore the sound aspect. 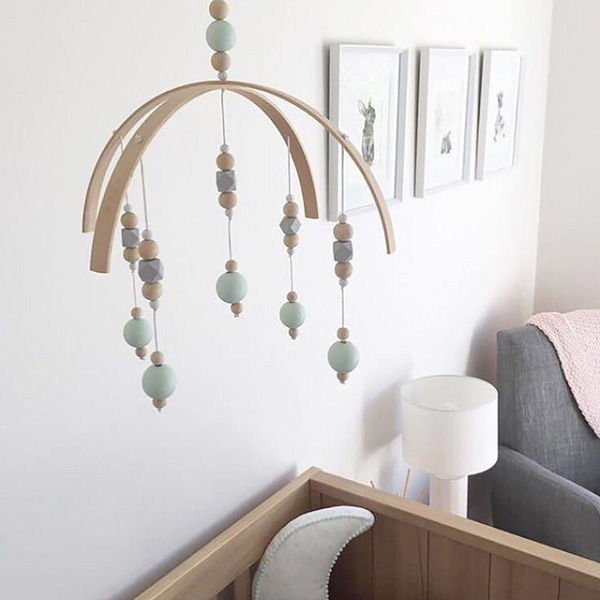 A wind chime helps to add some melody and music to child’s room thus making it very pleasant and approachable to the child and creating a cocoon where the child feels safe and nurtured. A part of the room may include a small art gallery where there can be posters or small pictures of art which may be displayed. This may also encourage the child to be more expressive with paint and color and try out the same. 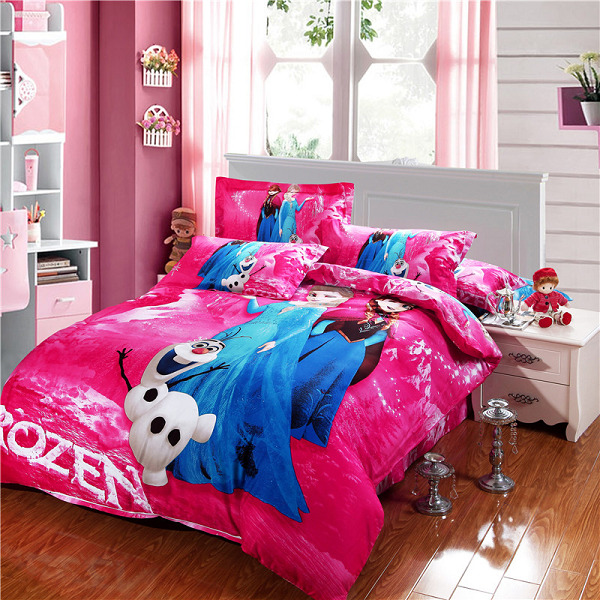 It also helps to add an authentic and personalized feel to the whole décor of the child’s room and it can be something that the child wishes to preserve even when he or she is grown up. 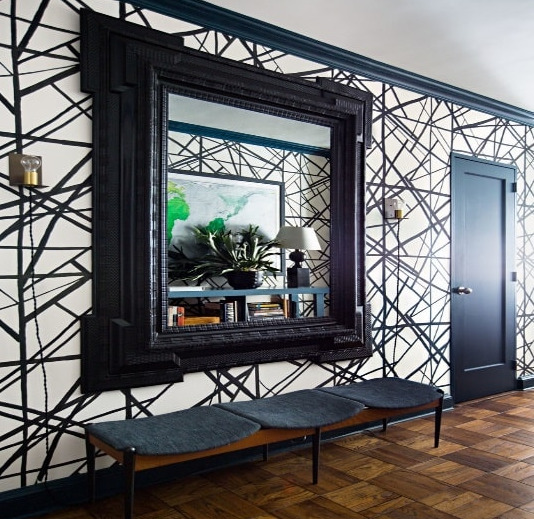 The room can be painted two different shades to add a contrast. The colors can be anything from bright to subtle depending upon the theme of the room. To avoid the monotony of a single color for the entire room and yet help to keep it elegant one of the walls may feature a wallpaper which will help to make the room look attractive but also retain the classy and elegant feel of the room. A bedroom is certainly incomplete without a mirror. 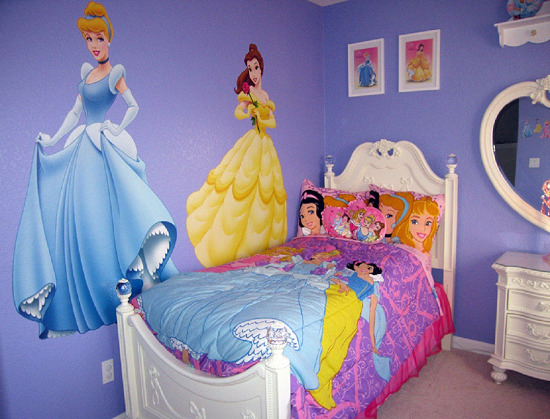 For a child's room, you may experiment with star gazed mirrors, a big rectangular mirror featuring a cartoon character on one side, for girls it may also be shaped like a princess mirror to make it feel more attractive. Depending upon the size of the room, it may also feature a small space for study which includes a rack of books, a chair, table, and a study light. However, since most children dread to study, this place can be made lively and thus motivate the child. The chair may be fancy so that it is not only used as a study chair but may also be used otherwise. The study table can be made of glass or wood. It may include some decorative embellishments on one corner of the table to make it look more attractive and elegant. Lastly, the rack of books may have some funky stickers or quotes which adds color to the words, making it more appealing and motivating the child to read and study. In decorating the room it is also essential to focus on the basics such as the storage space. This is important especially for girls since they come with a lot of stuff. Build shelves in alcoves with flat, sliding doors to conceal what lurks behind. 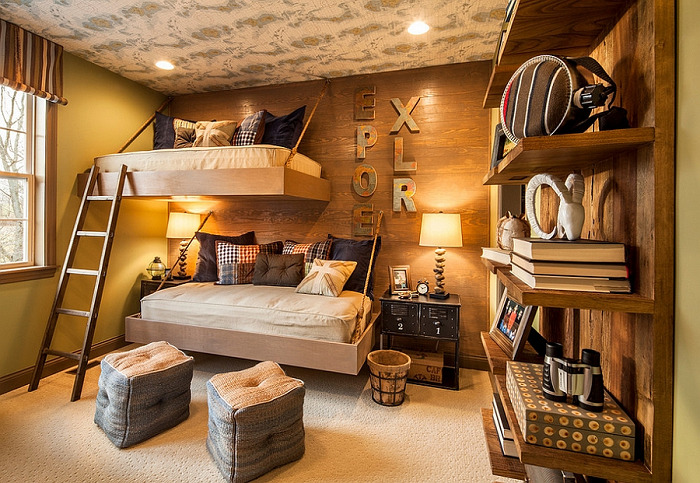 Shelves behind the bed double as a bedside table and provide room for books and CDs. If space is an issue you may also add drawers underneath the bed or place the mirror above the table to give an illusion of additional space to the room. 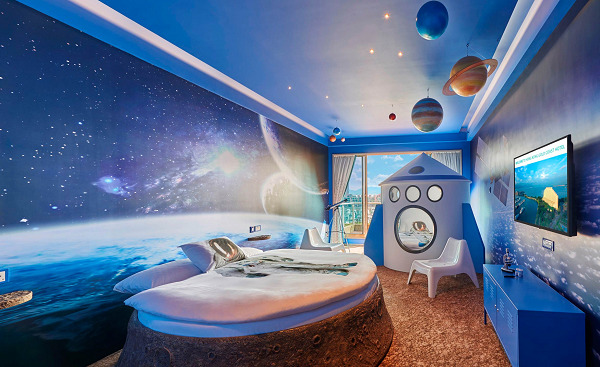 A child’s bedroom need not always be filled with a collection of eccentric colors which the child may outgrow after a certain age. 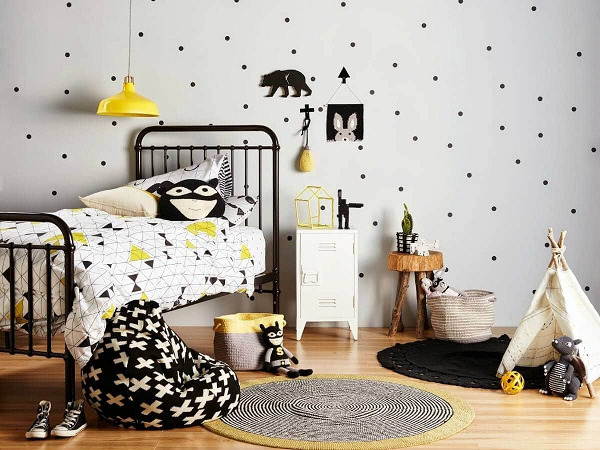 You may also experiment with a monochrome scheme of pattern and structure to lift the space and add some depth and personality to the child’s room. Children love to make things by hand and are encouraged to indulge in arts and crafts in their initial years of schooling. 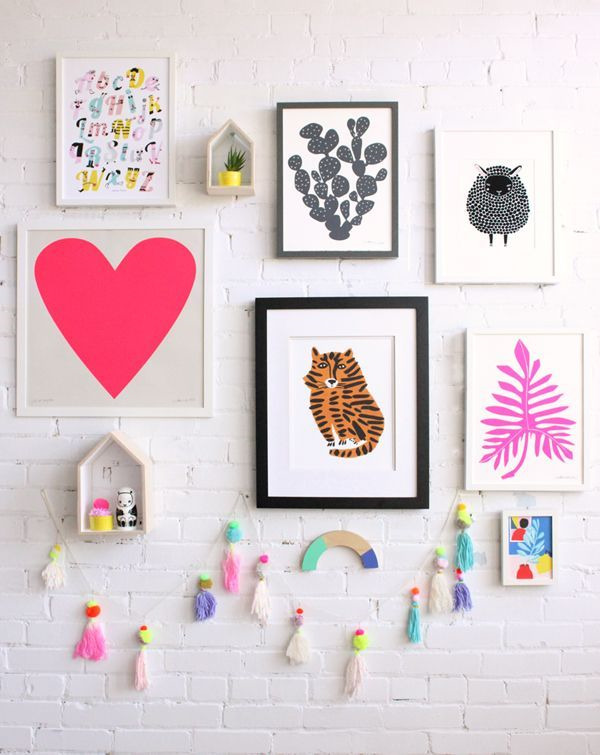 You may also work hands-on with your child in creating beautiful wall hangings or creating funky and quirky photo frames in which you can display the photographs of the child, the family or even a favorite pet. 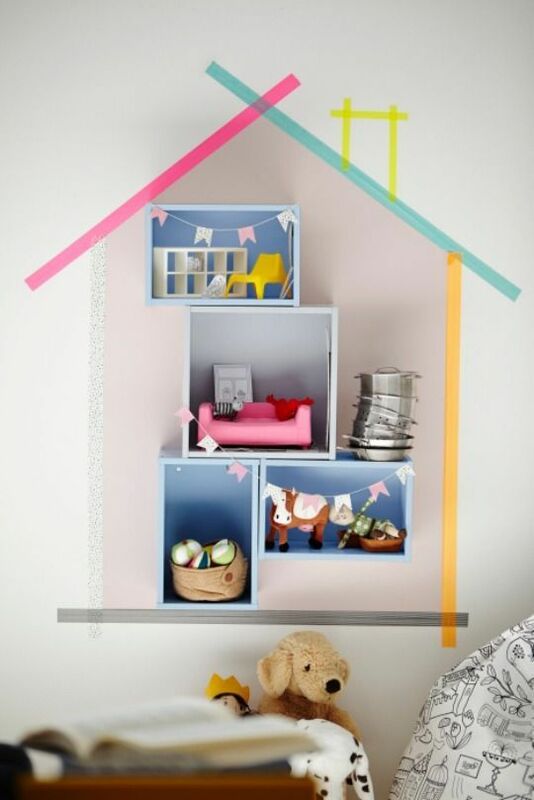 The child’s bedroom can be whacky and creative and feature plenty of recycled pieces. Do not let the materials go to waste you may upcycle the material and create weird and funky art pieces to display in the child’s room. This can be a simpler and cost-effective way to accessorize the room of the child as well as teach the child about the importance of safeguarding the environment at a young age. 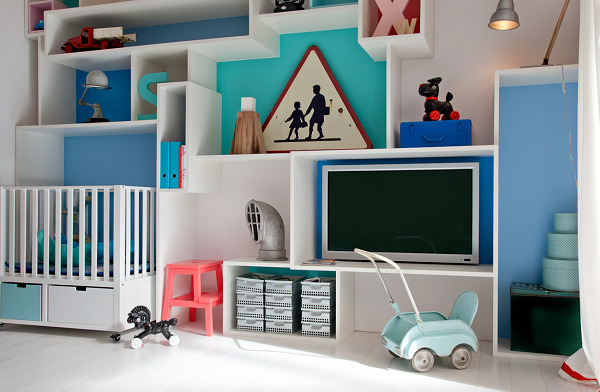 When decorating and designing a child’s room think out of the box. Choose one theme or maybe even experiment with two similar themes, anything that helps to add a sense of uniqueness and individuality to the décor of the room. 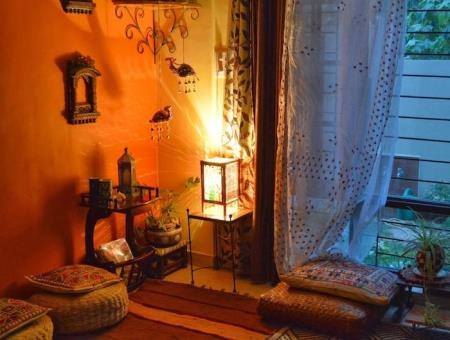 You may also experiment with lights and add a unique sense of color and brightness to the room. You may add attractive lamp shades for a more colorful approach, use LED lights or add twinkling lights to add some sparkle to the room. 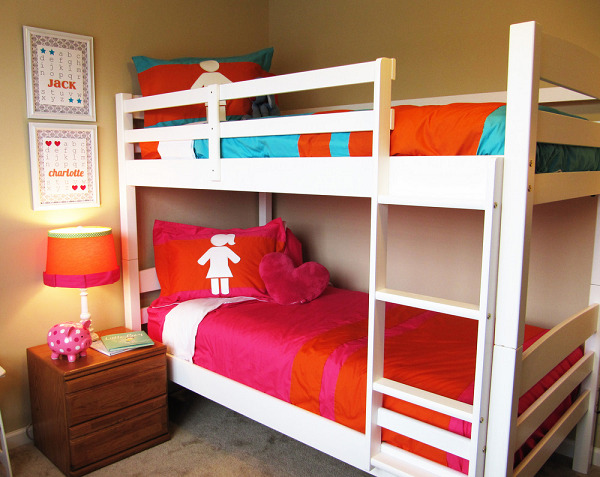 Your son or daughter may outgrow whacky colors or a fairy look but doesn’t mean that you add a boring color to the room. Give the scheme a touch of grown-up glamour with weathered wood furniture and Scandi-style accessories. If the room looks more on the bland and plain side you may head out to your local supermarket and pick up a few accessories. 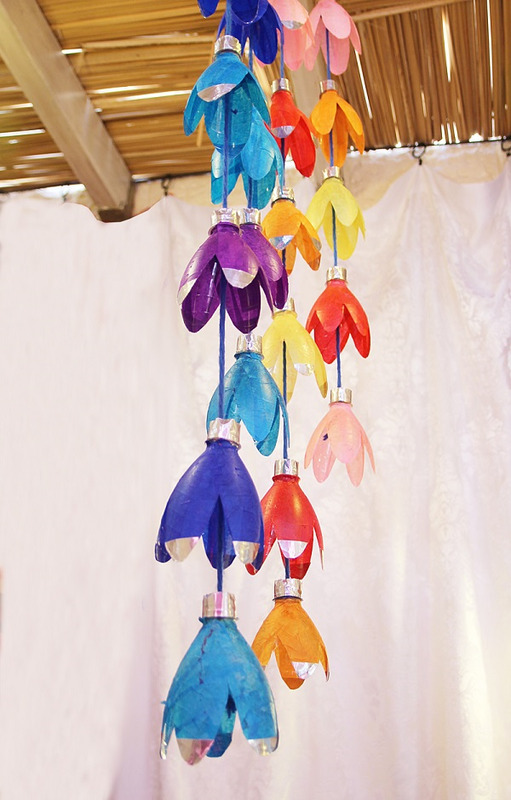 You may also visit a flea market to get cheap and funky accessories. 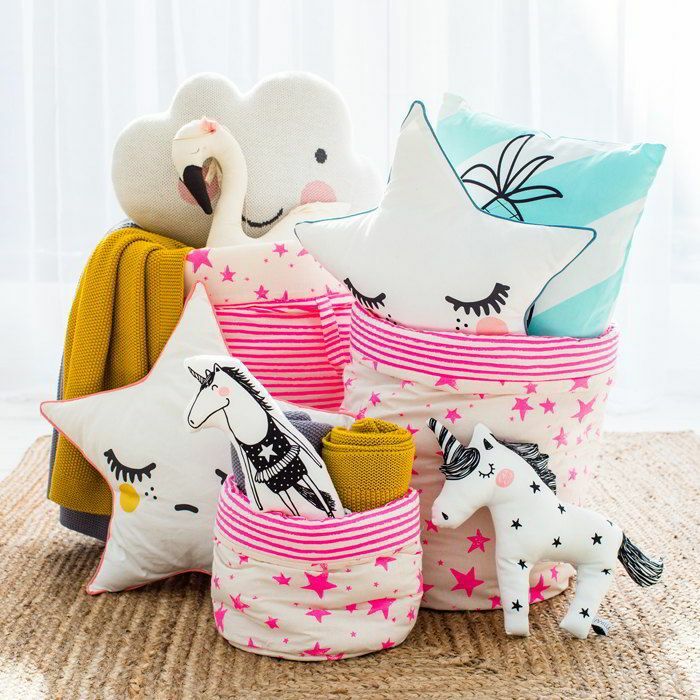 To add some more color and brightness to the room you may experiment with some comfortable and theme based cushions to lighten the room and make it look more funky and attractive. Decorating our home is an important process, it helps us to express ourselves and our personality along with surrounding ourselves with the things that make us feel happy and inspired. This is not only true for us as adults but also for the children. In fact, by focusing and building a room around a child's nature you are giving him/her an important place and acknowledging the space of the child giving him or her a medium to express themselves and feel safe and happy. 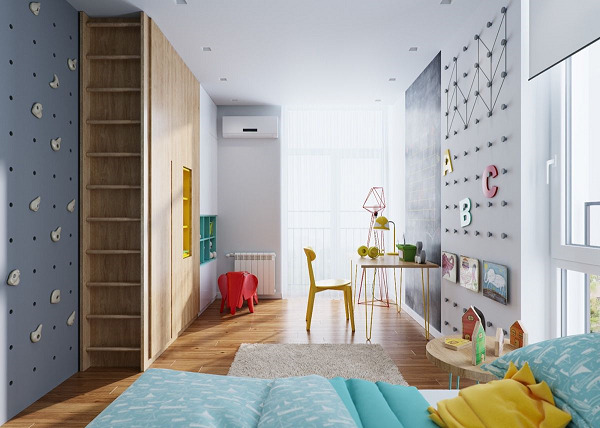 It is also important to incorporate the child in the decision-making process or to take the child’s opinion into consideration while deciding the décor of the child’s room. They can be asked to make smaller decisions such as asking them what color they want the room to be in, asking which books they want or which toys they want to display in the room can help them to feel appreciated and feel that the things are being done according to their likes and for their well-being. 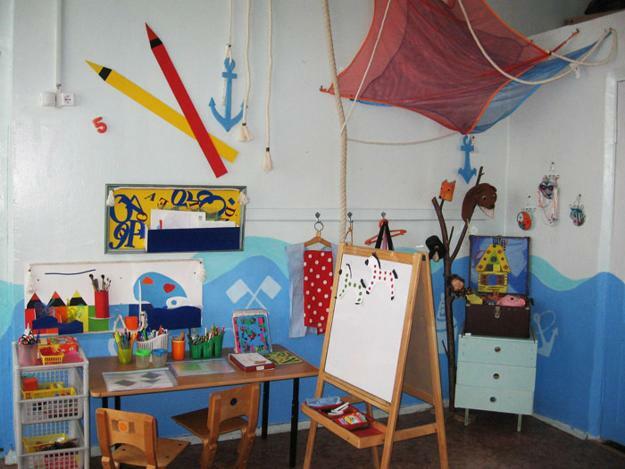 So, get experimenting and create a wonderful room for your child to feel nurtured and loved.